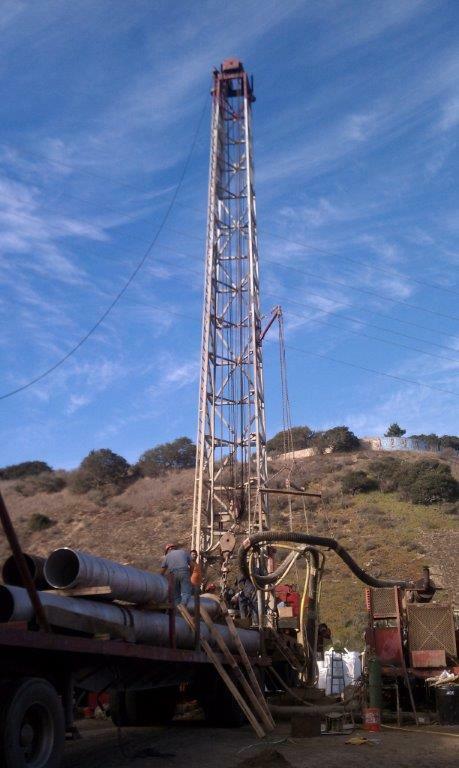 LSCE conducted design and well construction services for Marina Coast Water District’s Watkins Gate Municipal Supply Well project in the East Garrison area of the former Fort Ord. 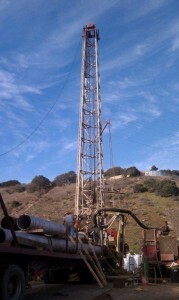 The work conducted as part of this project included a detailed analysis of available data and a site specific investigation, including exploratory drilling, to determine the feasibility of constructing a production well at the Watkins Gate site. This effort was complicated due to potential surface contamination issues resulting from historical base activities and the requirement by Monterey County to identify and isolate saline water zones. Based on the site specific investigation, LSCE developed a well design and worked with the District, its other consultants, and regulatory agencies to permit the well location and design. LSCE produced well construction and testing specifications that were incorporated into a larger pump station and distribution line project, oversaw well construction and testing, and provided the District with equipment sizing recommendations. The installed well produced the desired yield of 1,800 gpm and meets drinking water standards.